So you are tired of the good old chess and want to try your hand in a new kind of game (playing with the same pieces). 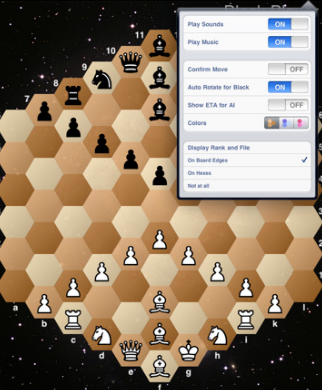 HexChess is an interesting flavor of chess that involves playing chess on a hexagon board. 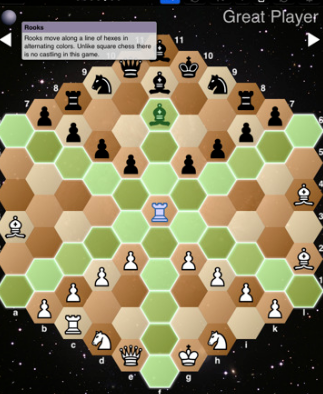 HexChess may not be as popular as regular chess, but it does level the playing field among players and can be quite challenging. 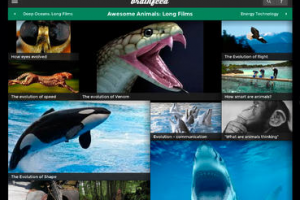 HexChess is similar to chess in many ways. The piece movements are a bit different. For starters, you have 3 different colors on your board. That means you are going to need a third bishop and an additional pawn. Your rook can go in 6 different directions instead of 4. Other pieces will move slightly differently too. HexChess has 3 levels of difficulty to keep players of all levels entertained. It can also teach you how to play the game if you find it hard to cope with this game. HexChess is not chess and is not going to replace chess or Fischer random chess. It can be as entertaining though. The movements are strange for those who are used to regular chess, but you will get used to it. HexChess is different but quite fun at the same time.